I can't believe it's been a year since I've posted! Time really flies.. I did a mini restocking haul from Sasa with two new things that I haven't tried before. BCL Browlash came out with a new film mascara called WP Washable Long & Curl (a volume formula is also available). 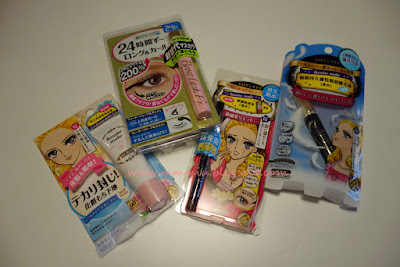 If this brand sounds familiar to you, I did a review here a while ago on two of their other mascaras. I'm eager to try this out as I'm a fan of fiber mascaras. 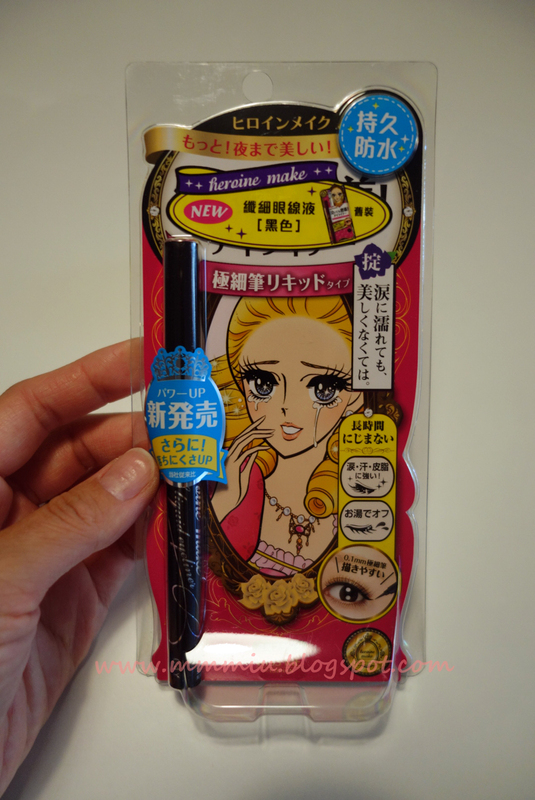 I also restocked on the Heroine Make Long & Curl Mascara Film type. The formula is slightly drier, but I find that it's great at holding my lash curl and doesn't smudge on me. It has a curved bristle wand with a fast drying formula. It can be removed with warm water, although I find this one takes a bit longer to remove than the Fiberwig mascara (which BTW, they changed their packaging!). I restocked on my go-to liquid eyeliner by Kiss Me Heroine Make. I think I've been using this now for the past few years, I can't even remember when I bought the first one. The package has changed slightly, in that the pen is now black with shimmers. Hopefully the formula hasn't changed. This works better on me that Dolly Wink, which tends to smudge later in the day. 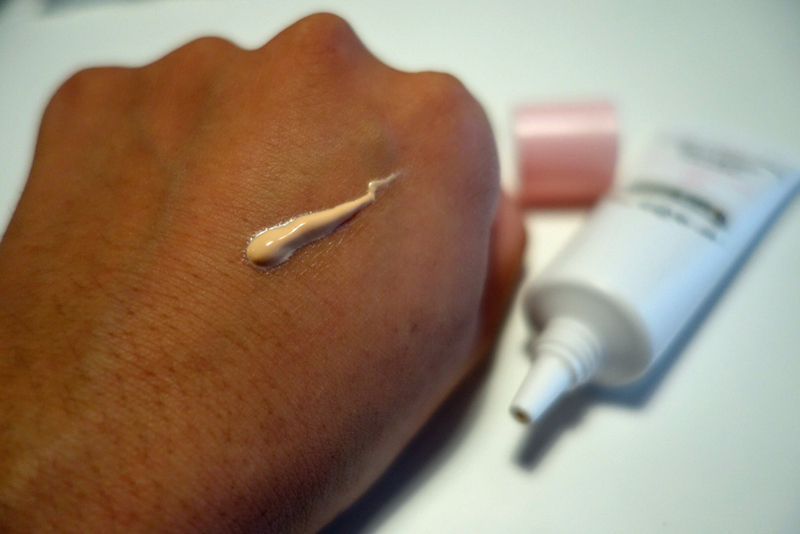 I normally use the Laura Mercier Hydrating Foundation Primer, but Toronto has been much more humid and hot this summer that I notice my foundation slipping off faster. 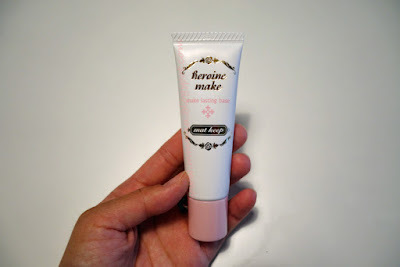 I saw the Heroine Make Make Lasting Base on Ratzillacosme and was very happy that Sasa (and also Adambeauty) started carrying it on the website. The packaging is not only so cute, it has SPF50, uses zinc oxide and supposedly doesn't have any harsh chemicals (like alcohol). The formula feels very light and doesn't have the slick silicone feel to it. It's sticky, but not sticky, if you know what I mean, almost like the Too Faced Hangover Replenishing Primer texture. It gives my skin a slight brightening effect and is great at keeping my makeup in place throughout the day. I didn't even need to retouch! Even when my skin starts to get oily, my makeup looks more like a soft glow rather than oily. The only downside is there's not expiry date on it, but since it's relatively new on the market, sunscreens are normally good for 2 years or so. Overally, this is great for those who want to cut down a step in their makeup routine as it is a primer and SPF in 1 product. I love how it's fragrance-free and doesn't use any of the chemical filters (I prefer it that way) and I've noticed that it really helps keep my makeup in place during the warmer summer months in Toronto.